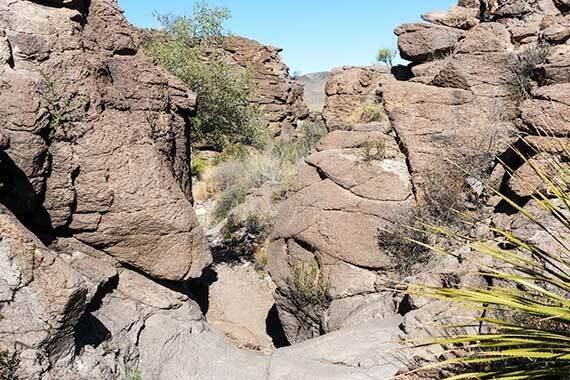 Upper Burro Mesa Pour-off Trail in Big Bend National Park is rated as a moderate trail on our site primarily due to some rock scrabbling that can require the use of your hands to help stabilize yourself. 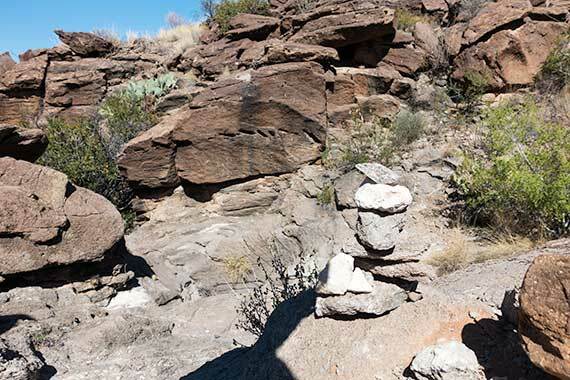 You’ll also have to be careful to follow the rock cairns because the trail can be difficult to make out in spots. 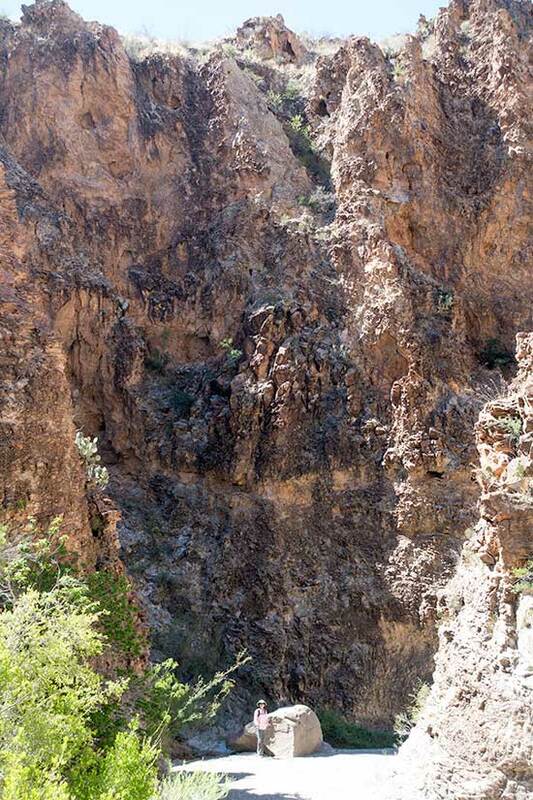 If you’re an inexperienced hiker, this trail may not be for you, but you also don’t need to be an expert to handle it. 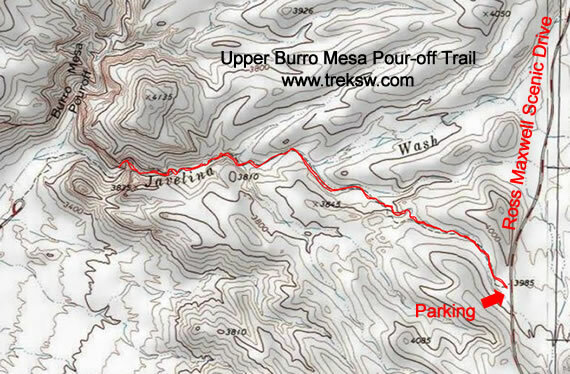 To get to the trailhead for Upper Burro Mesa Pour-off Trail (29.229397, -103.377731), take a left out of Park Headquarters at Panther Junction and drive approximately 13 miles to take a left hand turn onto Ross Maxwell Scenic Drive to Castolon. From there, you’ll need to drive about 6.9 miles to a pull-off on your right. You should see a sign indicating the trailhead is coming up before you get there. Once you get to the pull-off, you’ll be able to see the marker for the trailhead on a small lip at the end of the paved area. 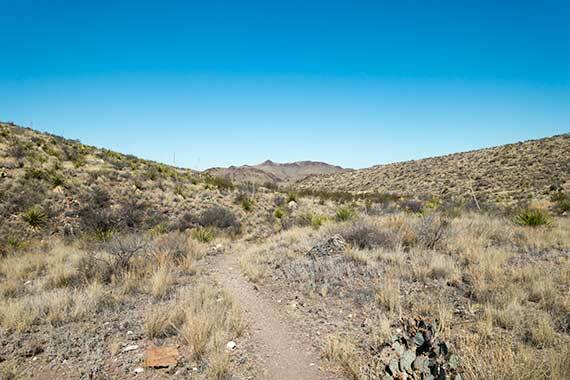 Once you crest that lip, the trail will gradually descend down into Javelina Wash until you reach the pour-off. The first portion of the trail is a mild descent on a clearly marked path and by far the least interesting portion of the trail. Just a short way down this path you’ll begin to slowly descend down into a dry wash. From here forward, the trail gets very busy and the path gets more challenging and rocky. As you’re making your way through the wash, keep an eye out for rock cairns. They’ll give you a good indicator of where the best points are to continue your descent. Some areas look a little counter-intuitive, but we found on our hike that the cairns really did mark the best spots forward (don’t count on it though because all it takes is one jerk or a good flood to mess it up). These rock cairns will be far more helpful when you’re making your way back up to the trailhead. There are several areas where other creeks join into the creek you’re traveling in, which could get confusing without the aid of the cairns and other carefully placed rocks. When you’re on the downstream portion of a creek ‘Y’ it’s no big deal, but on the upstream portion it can be difficult to remember which part of the ‘Y’ to take. If you get confused on this trail for some reason, just remember, if you’re on your way back to your vehicle, the right-hand fork of the ‘Y’ is your best bet. As always, you should be carrying a compass and map just in case, but you knew that. 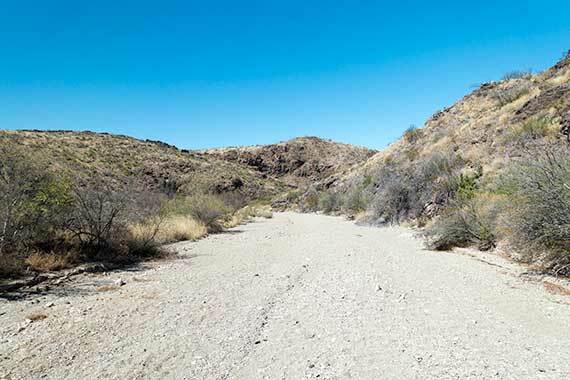 Once you get through the first rough patch, the trail opens up into a wide creek with a gravel floor. 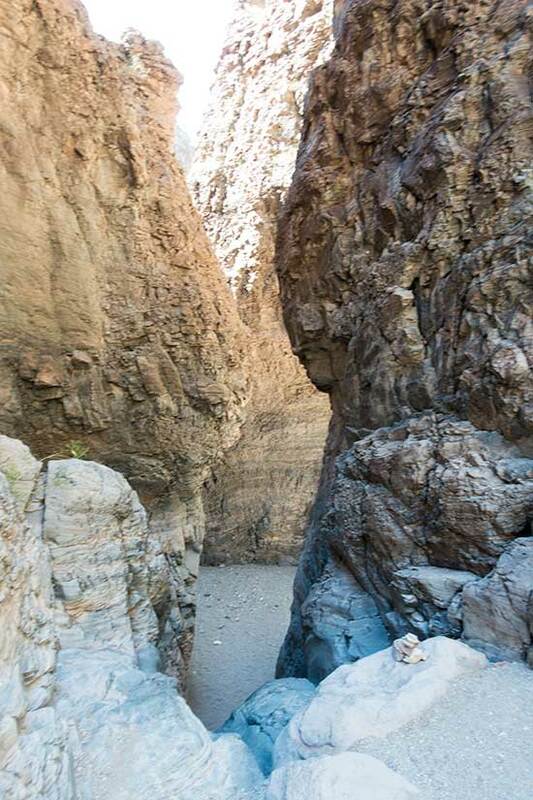 As you get a little further down this gravel creek, the trail starts getting far more interesting as the canyon walls again start rising up around you. And eventually start towering over you. If you look closely, you can see Elizabeth standing next to the boulder at the bottom of the picture below. Just a little way further down the trail you’ll see a larger pour-off that drops down further into Javalina Wash. 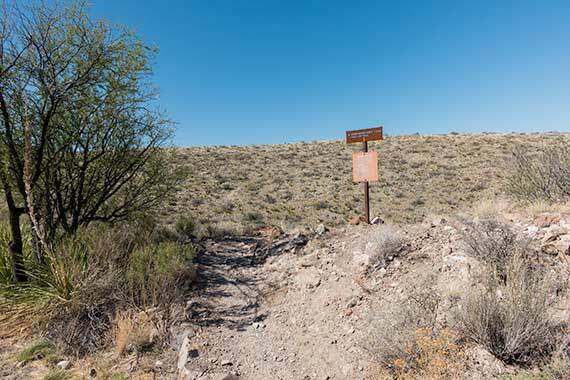 If you’re athletic and have people with you that can help, you can climb down further and look out over Lower Burro Mesa Pour-off Trail from the upper portion. If you’re not comfortable with having to climb back up, this is the end of the trail for you. Whether you climb down the pour-off or not though, this trail is still worth the hike. 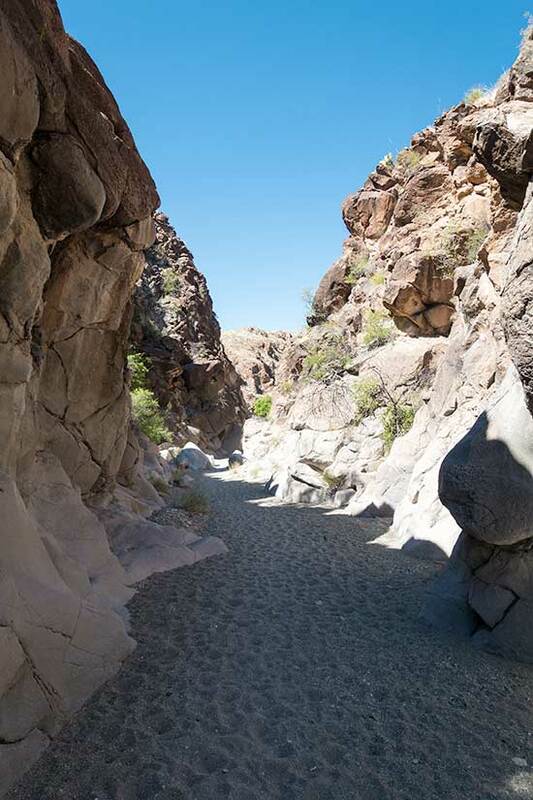 Prior to heading out for a hike in Big Bend, we recommend throwing a copy of the Trails Illustrated Big Bend Map in your backpack. The map provided at the entrance station is helpful, but not detailed enough for getting off the road and onto a trail. It’s also helpful to have a copy of Hiking Big Bend, by Laurence Parent. Subscribe to our mailing list and get fresh inspiration and new ideas directly in your inbox.